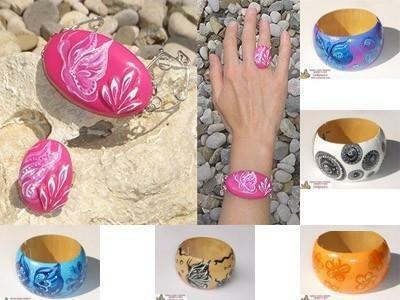 Unique bracelets for women - BUTTERFLYThere are 15 products. Unique fashion and handcrafted designer bracelets from the newest collection BUTTERFLY from e-shop Unikatnica.com are rich with fresh colours, playfulness of designs, shapes and motifs. All bracelets from this collection are made from unique handcrafted designer pellets and wire pattern and unique handmade designer pattern of the middle part. These unique bracelets were designed for women who enjoy the feeling of being theirselves, being different, noticed, but elegant at the same time. They were designed for special occasions, but also for casual ones, when you would like to step out of the grey croud. All bracellets are OOAK (One of a kind), made from skin friendly materials which are nickle-free.